A new report shows jobs growth in the south is 12 times faster than the rest of Britain. It’s grim up north, or so the namby-pamby southerners say, and a report out today looks unlikely to dispel that notion. 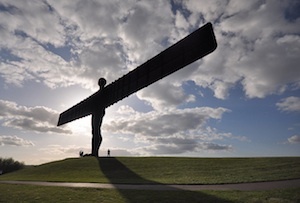 Research from the Centre for Cities thinktank claims the north-south divide is getting worse. The headline figure is that for every 12 jobs created in cities in southern England between 2004 and 2013, just one was created in cities in the rest of the Britain. Top of the pile was Milton Keynes, where the number of jobs increased by 18.2% (24,400 new jobs) in the period, while London was second on 17.1%, with 769,500. The worst performing city, Gloucester, is arguably in the south, but eight of the 10 cities that have lost the most jobs are in Wales and the north of England. Rochdale has lost 9,300 jobs in the period, a 12.2% decline, and 14,500 jobs have disappeared from Blackpool, down 10.9%. Jobs growth in the south outstripped population increases by 12.4% to 11.3%. In the rest of the UK net new jobs increased by just 0.9%, alongside population growth of 5.5%. It’s not all good news for the south though, as the Centre for Cities warned excessive house price inflation was a threat to further progress. ‘Five months out from the election, this report makes the strongest economic case yet for the next Government to step up to the challenge of investing in the long-term success of our cities, and build a brighter future in which more people and places can contribute to, and share in, prosperity and growth,’ said Andrew Carter, acting chief executive of the Centre for Cities. Carter suggested that the best way to achieve this was more long-term funding and strategic planning, with a focus on transport, housing and skills. In the wake of the Scottish referendum, which has led to greater powers north of the border, some campaigners are calling for more tax and spend powers for the regions and this report will add fervour to their cause.